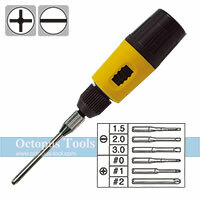 ◆ Bits can be stored in the bottom of the screwdriver. 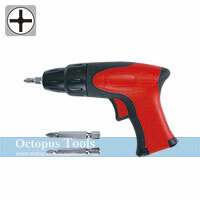 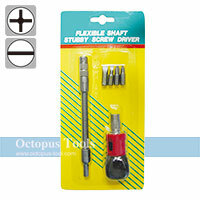 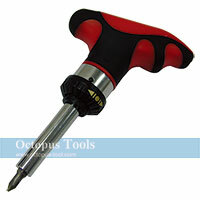 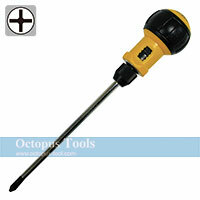 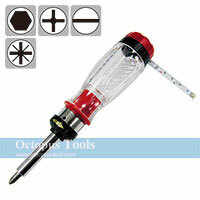 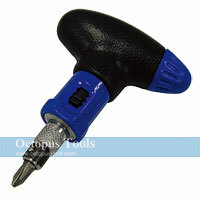 ◆ Bits can be stored inside the handle of screwdriver. 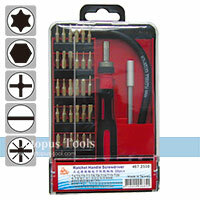 ◆ Specially designed for maintainence of telecommunication-related instruments including computers, word-processors, facsimile machines, TV, radios...etc. 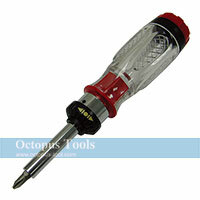 ◆ Black point finish increases resistance and durability against screws.